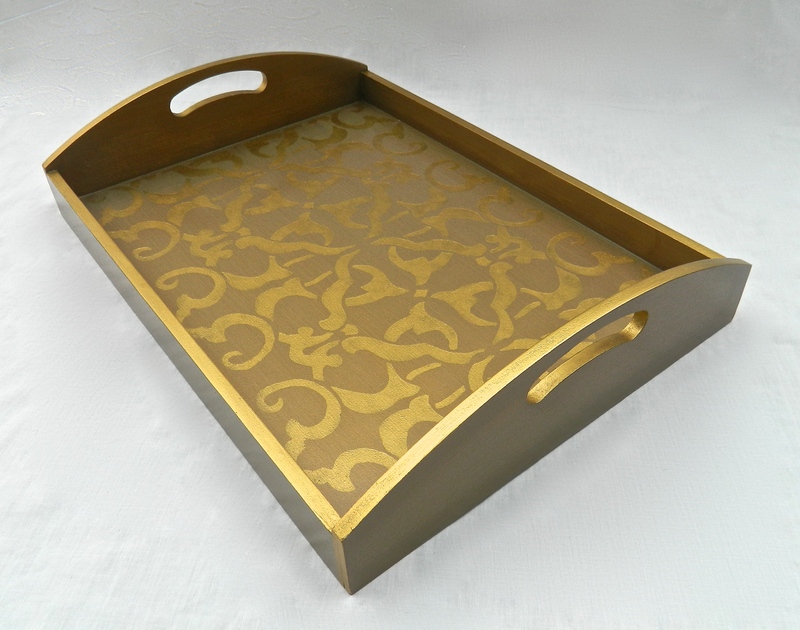 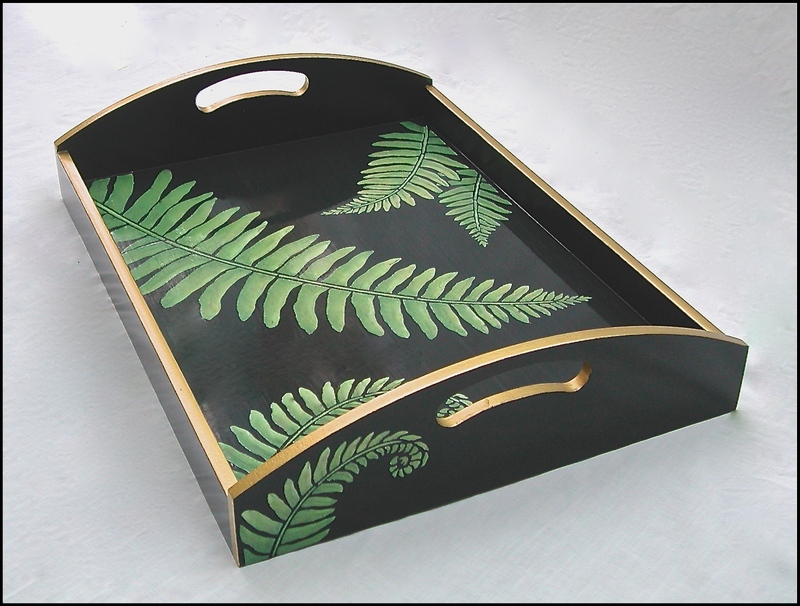 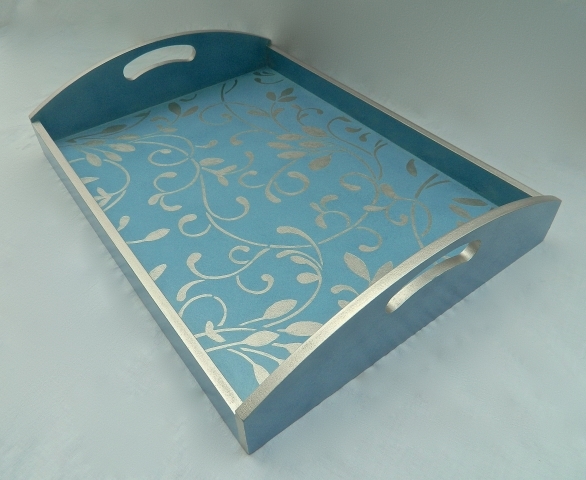 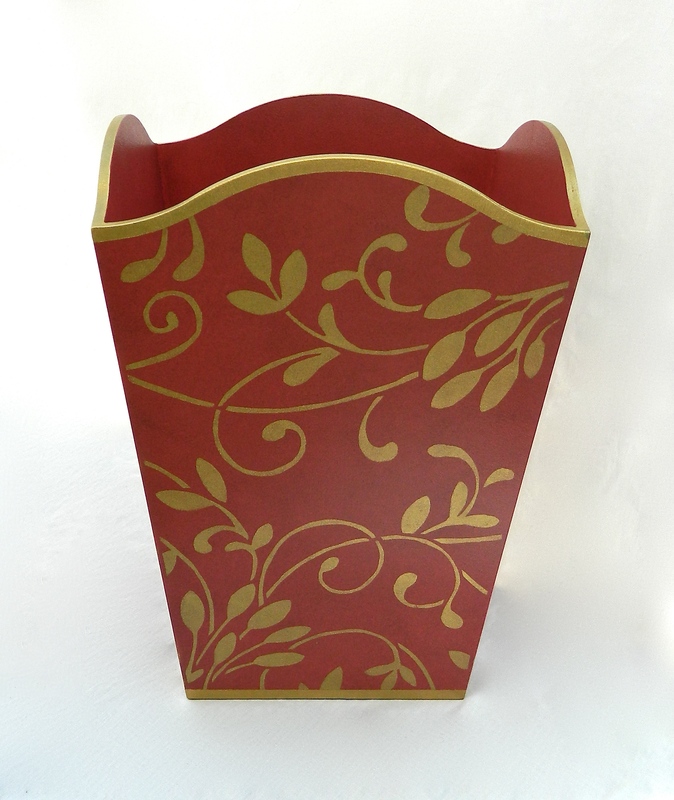 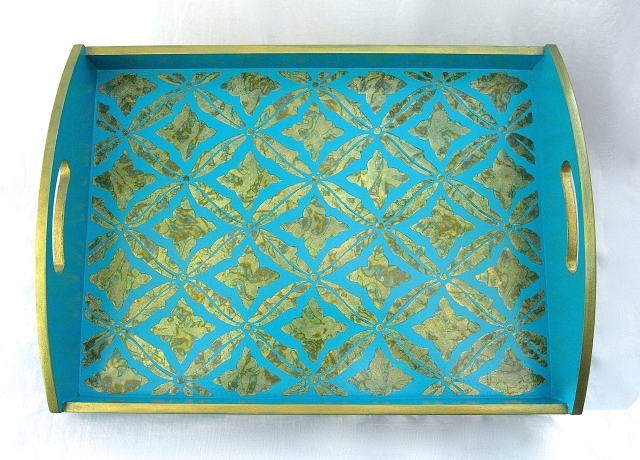 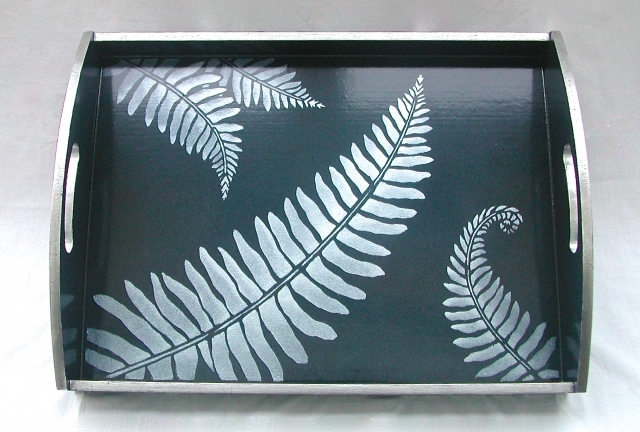 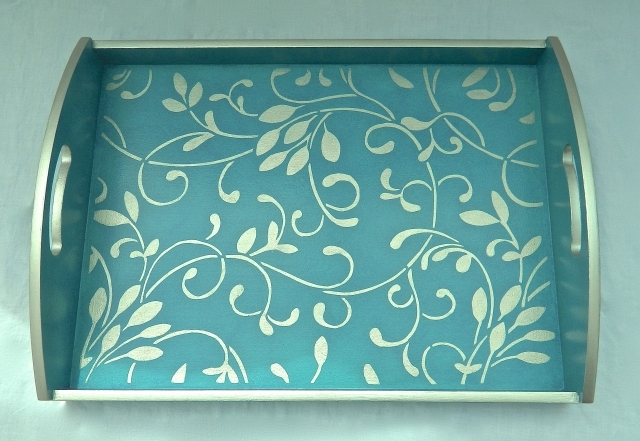 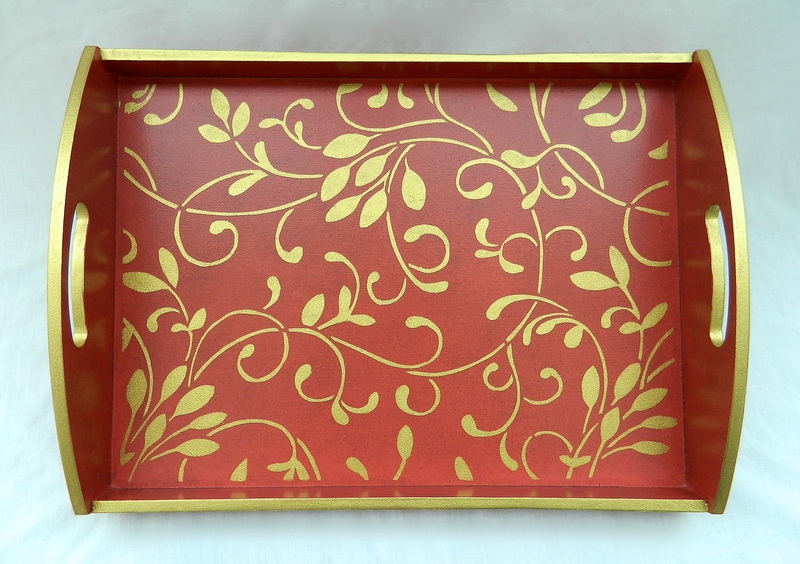 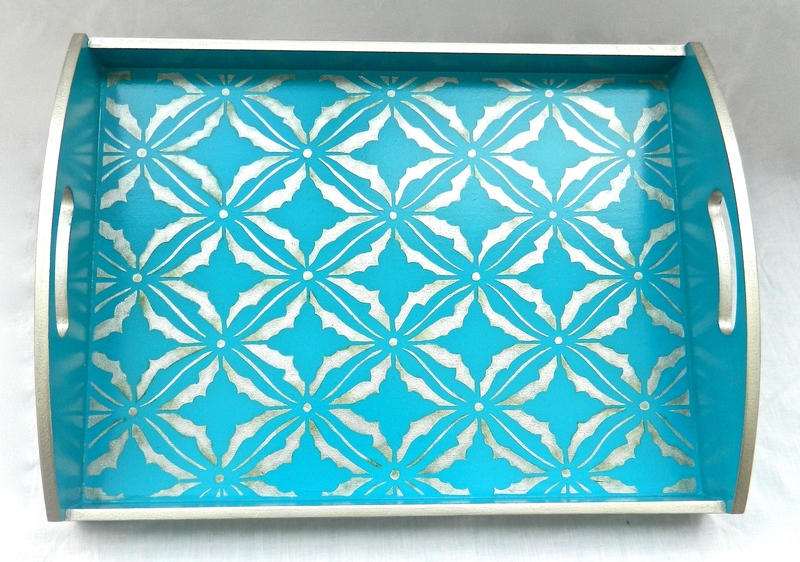 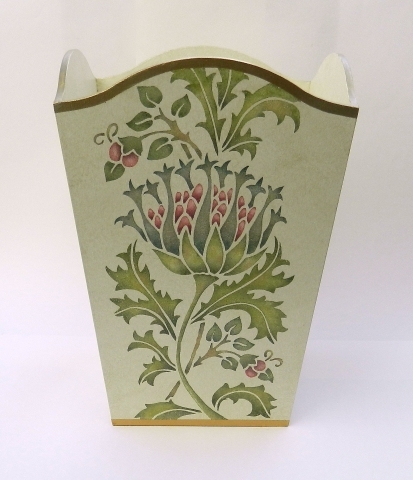 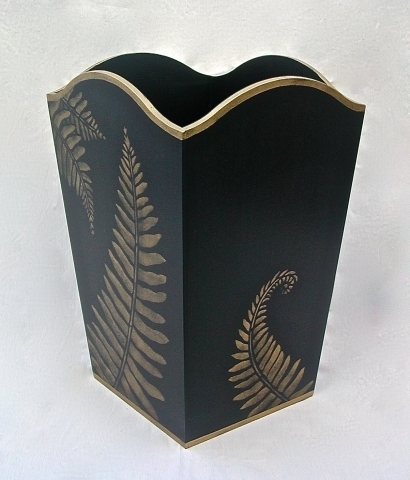 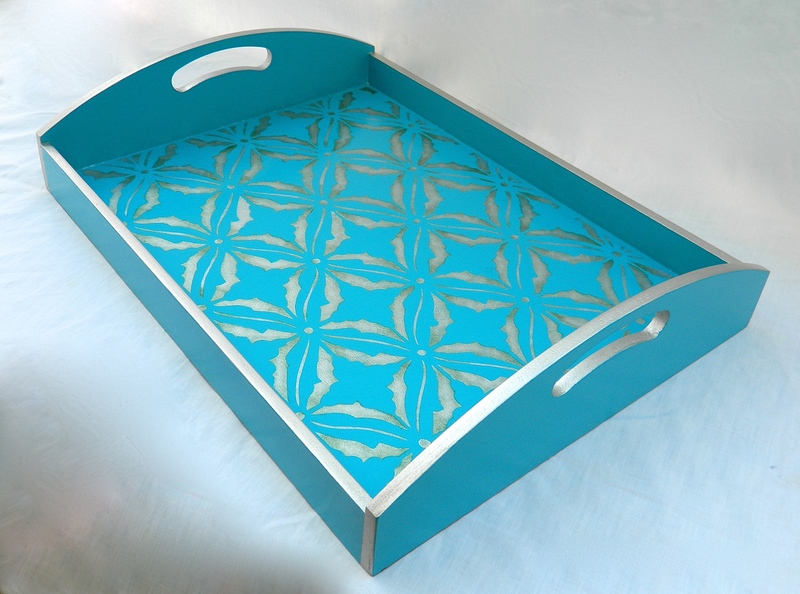 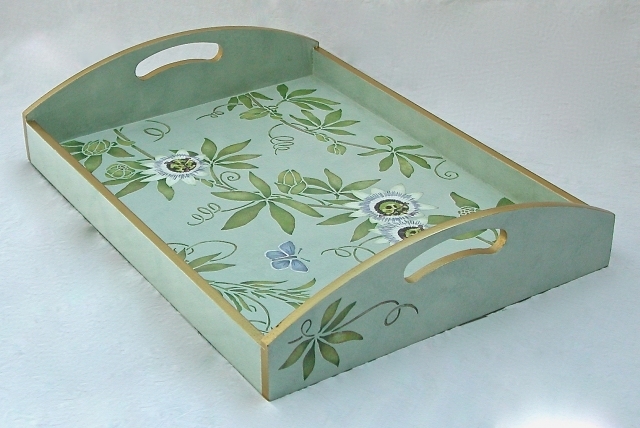 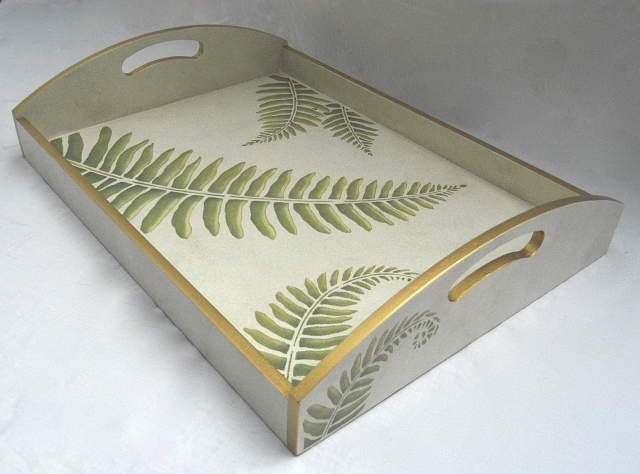 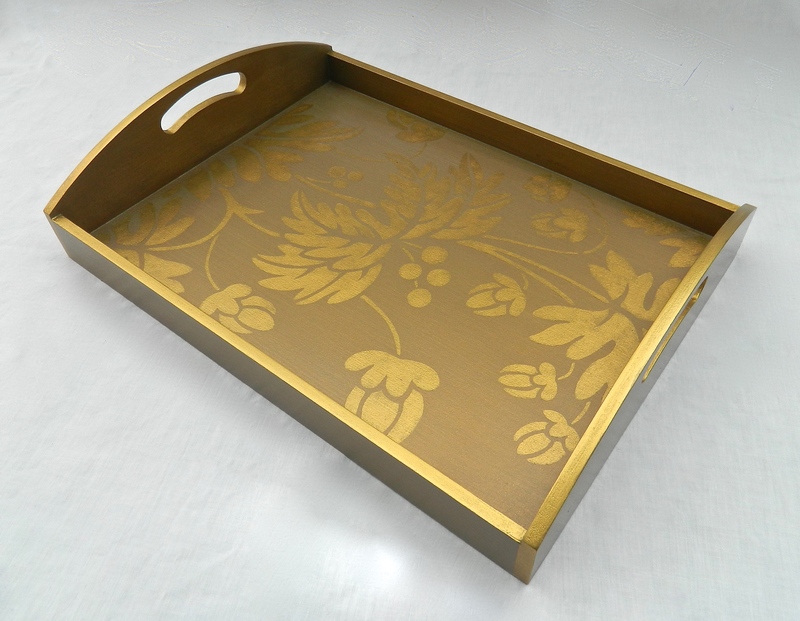 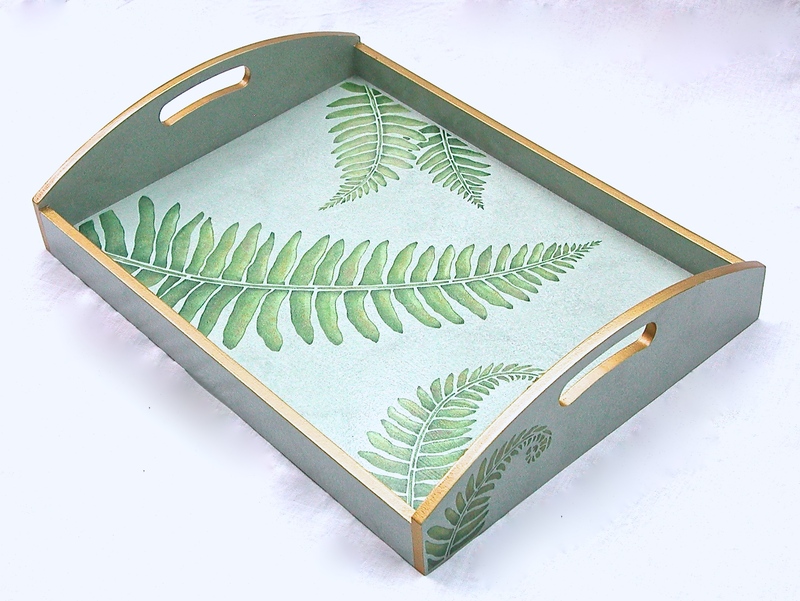 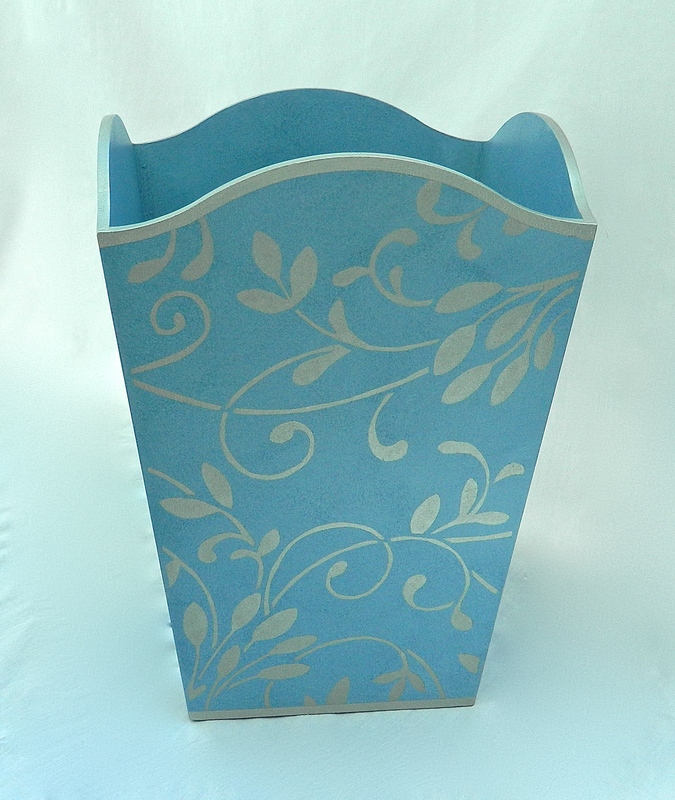 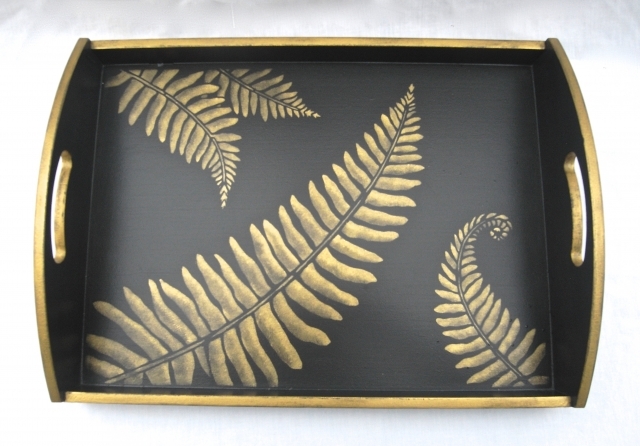 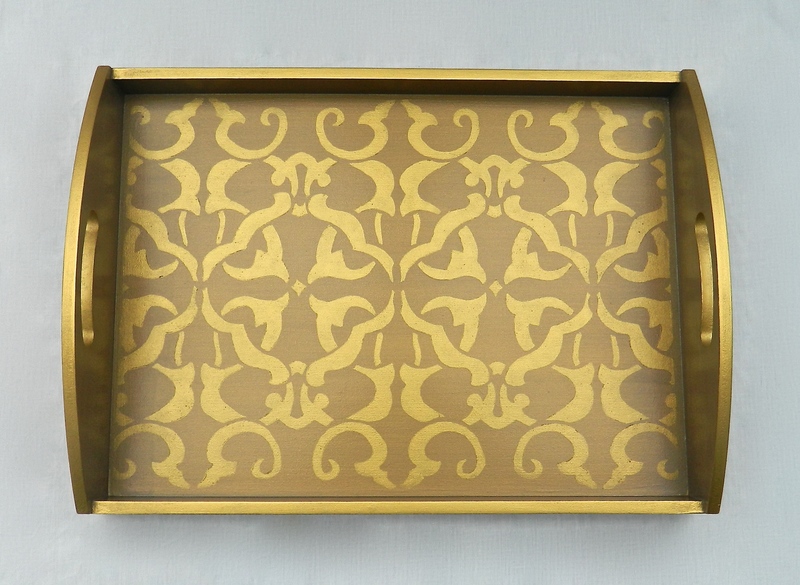 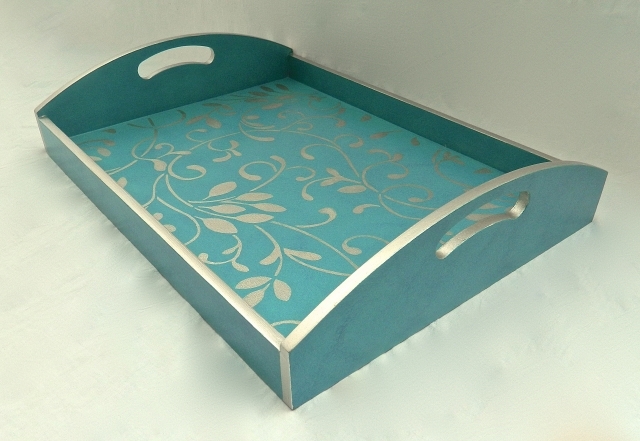 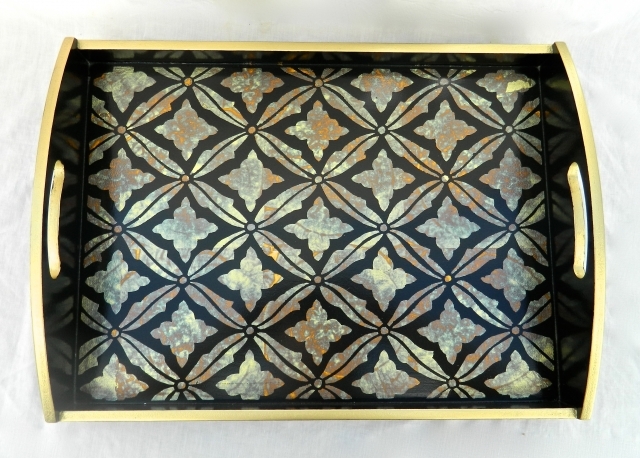 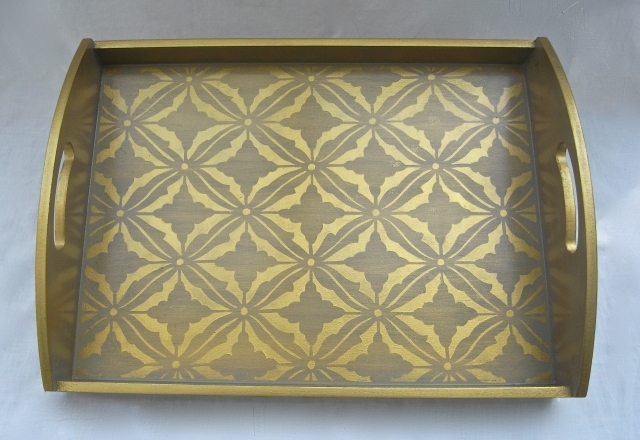 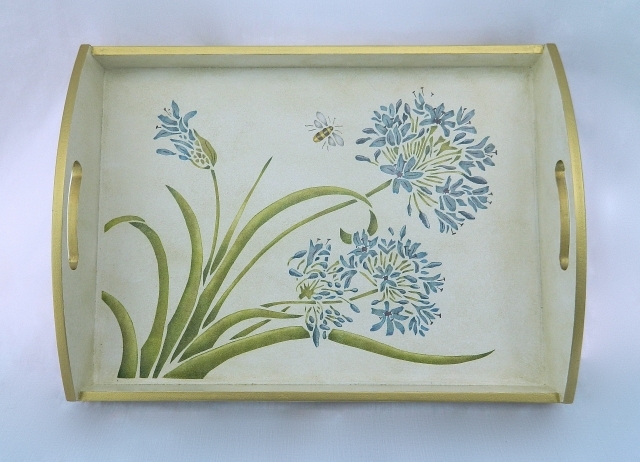 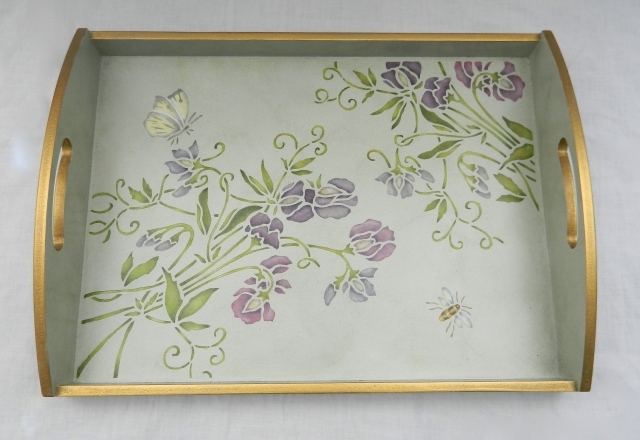 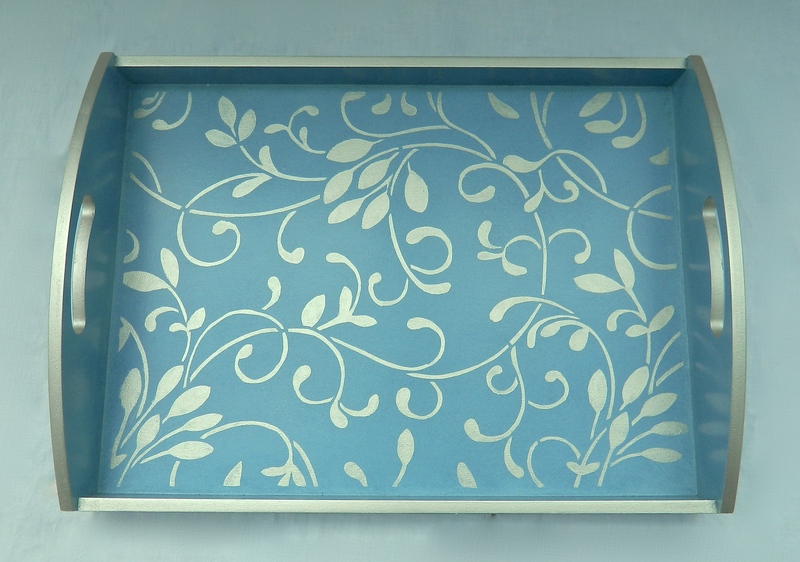 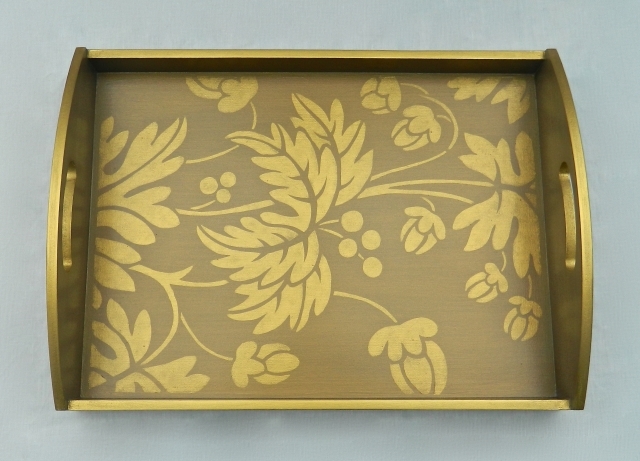 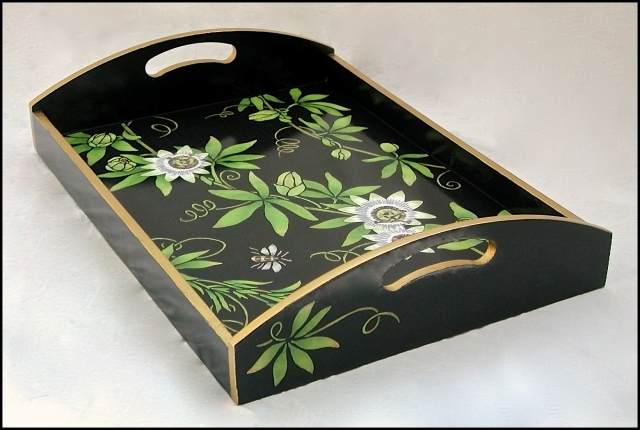 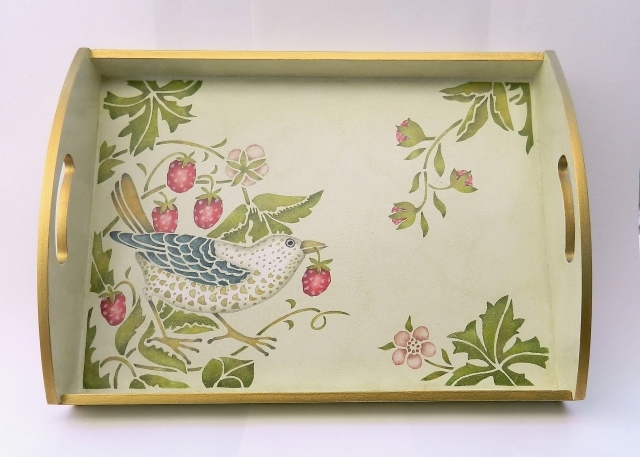 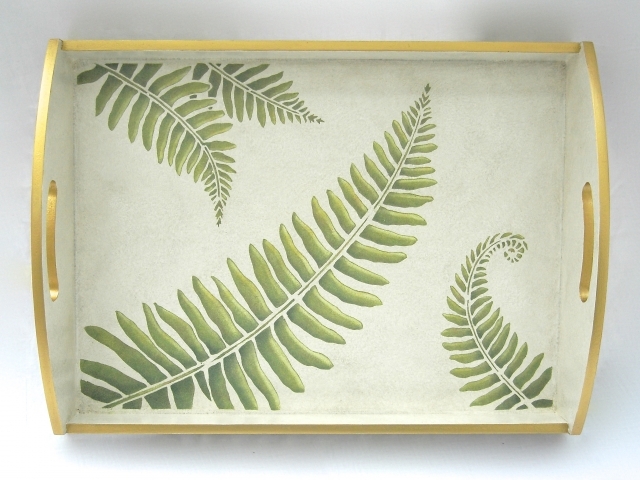 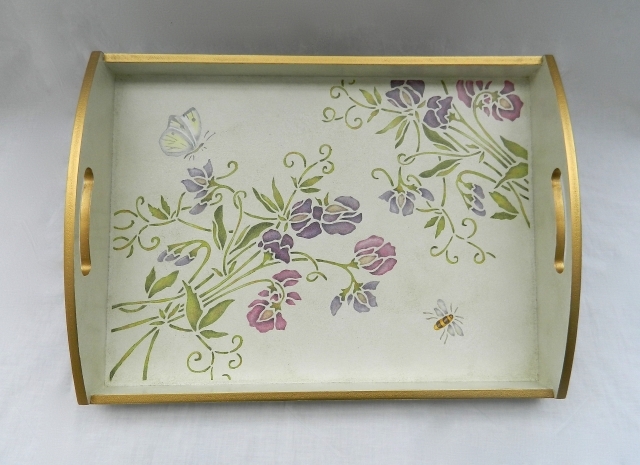 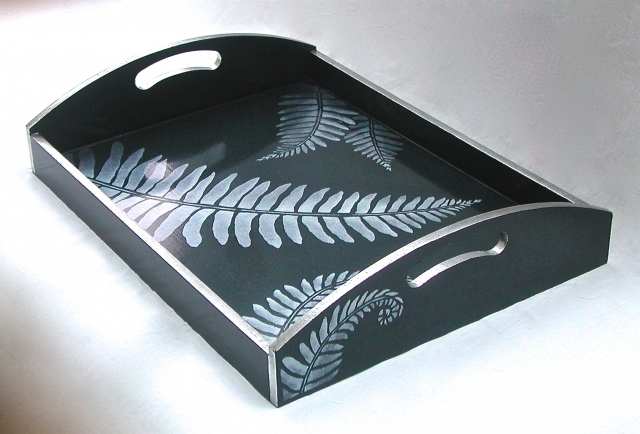 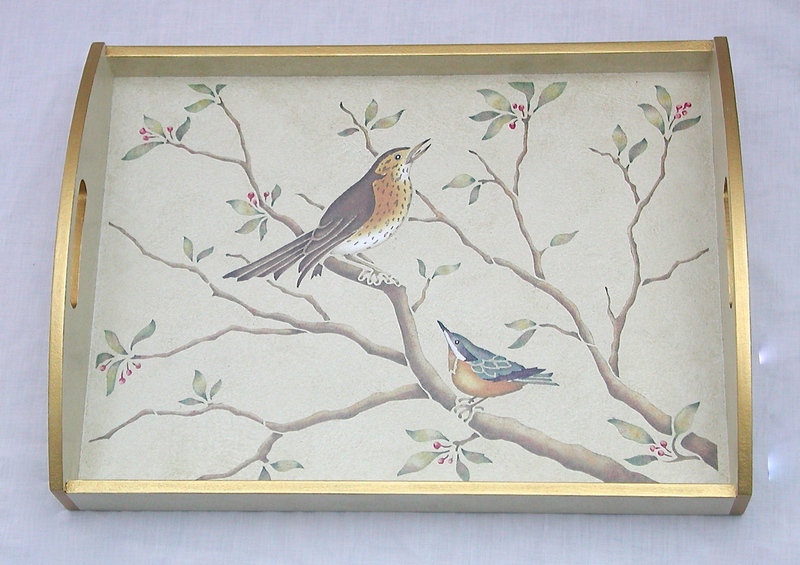 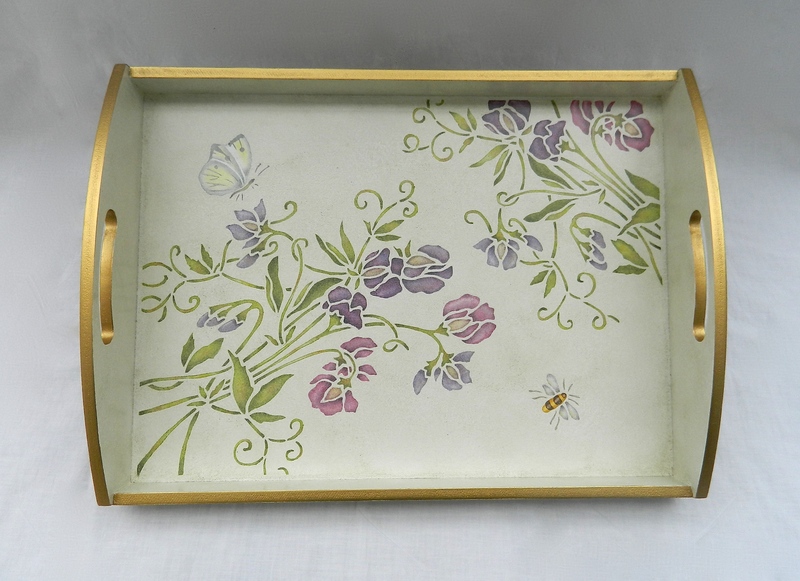 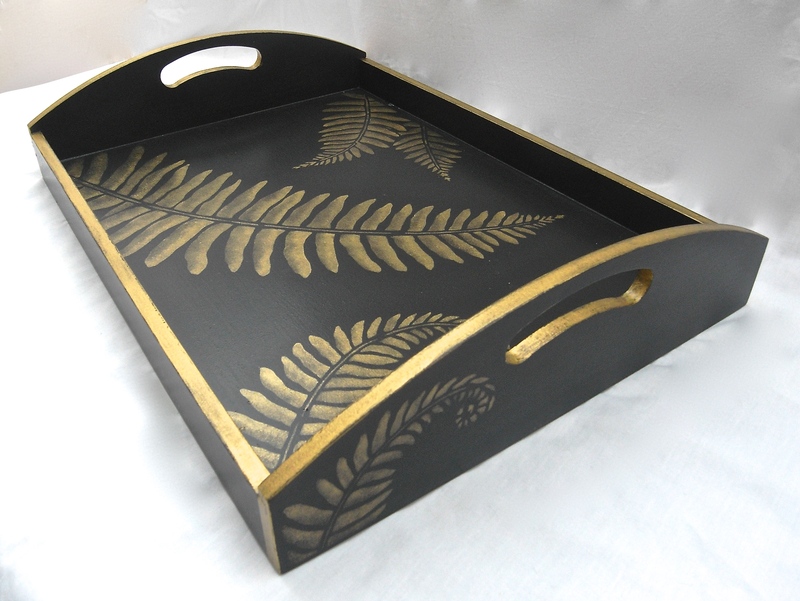 Charming trays and small bins. 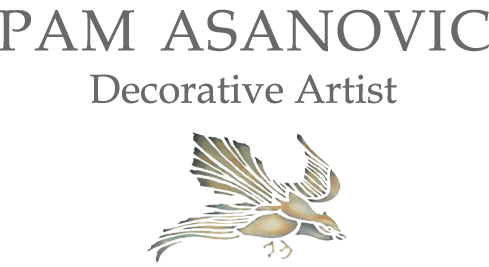 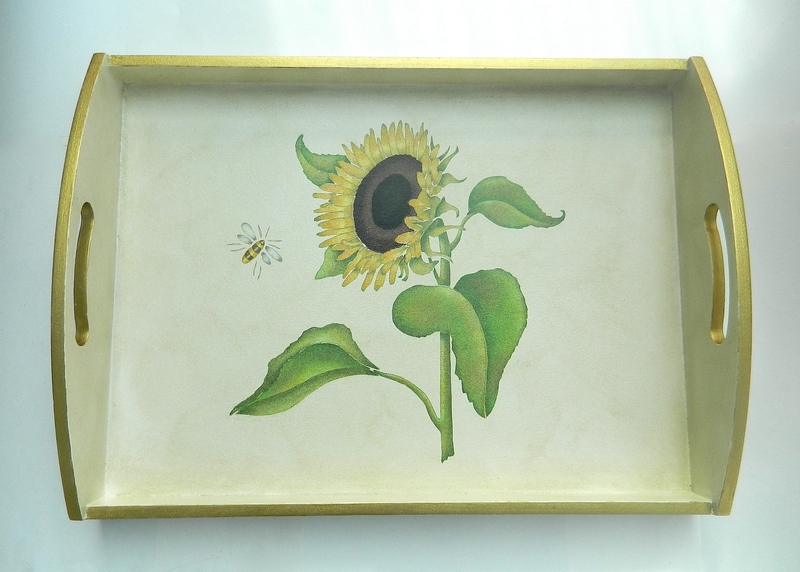 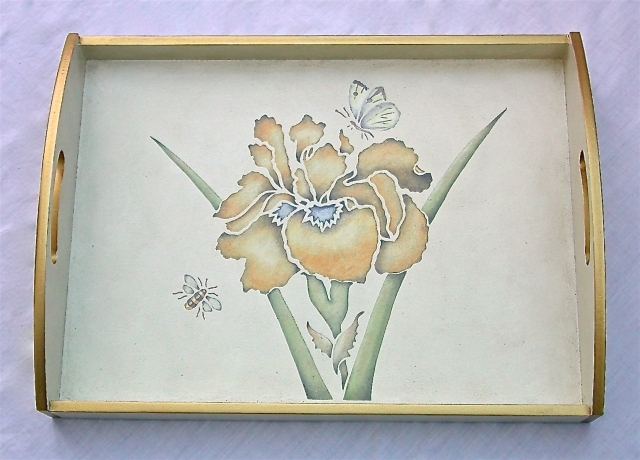 Each item is unique and hand-painted, each is a small, signed work of art. 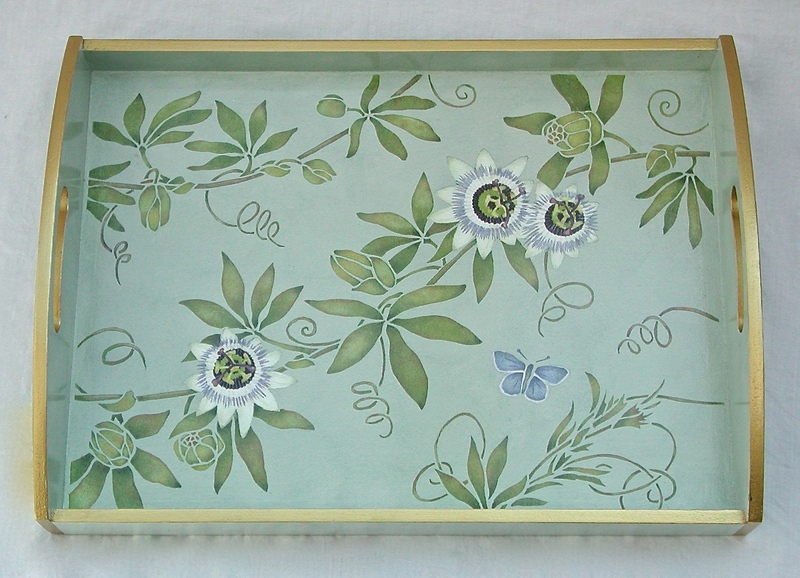 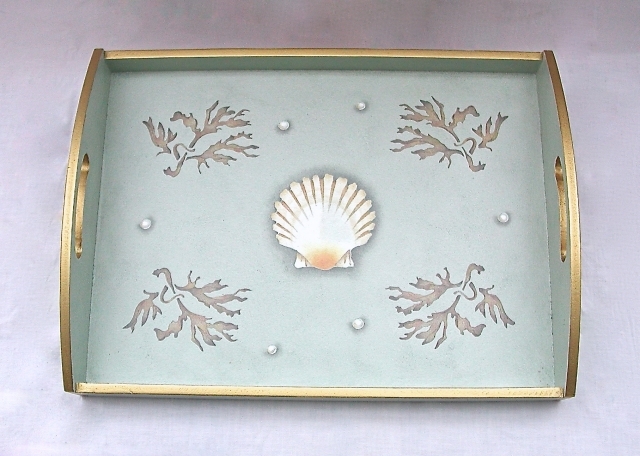 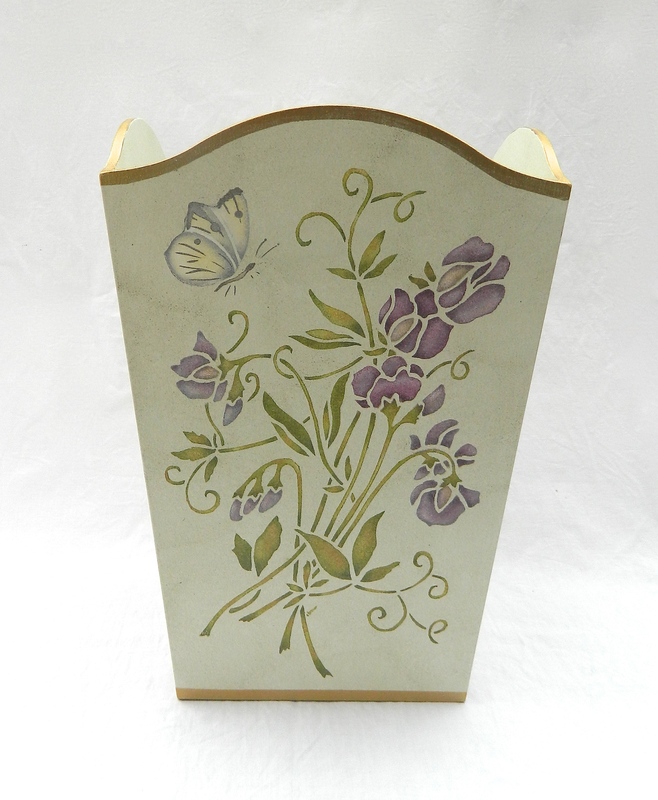 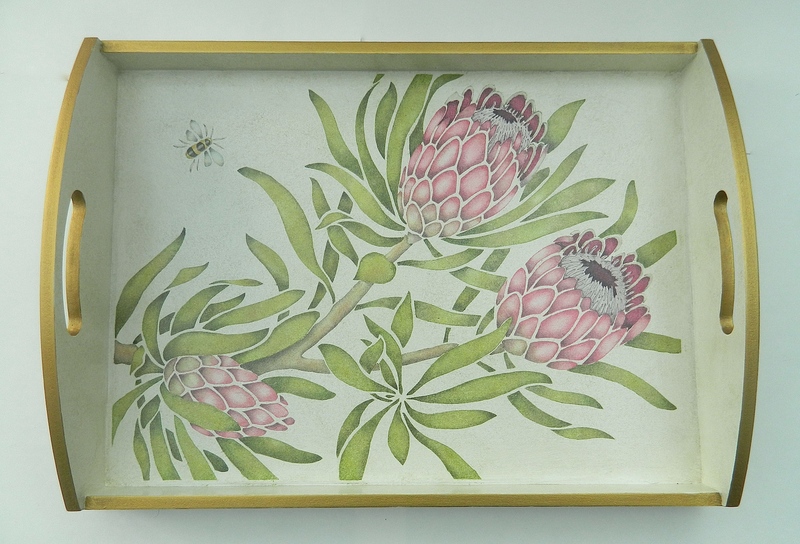 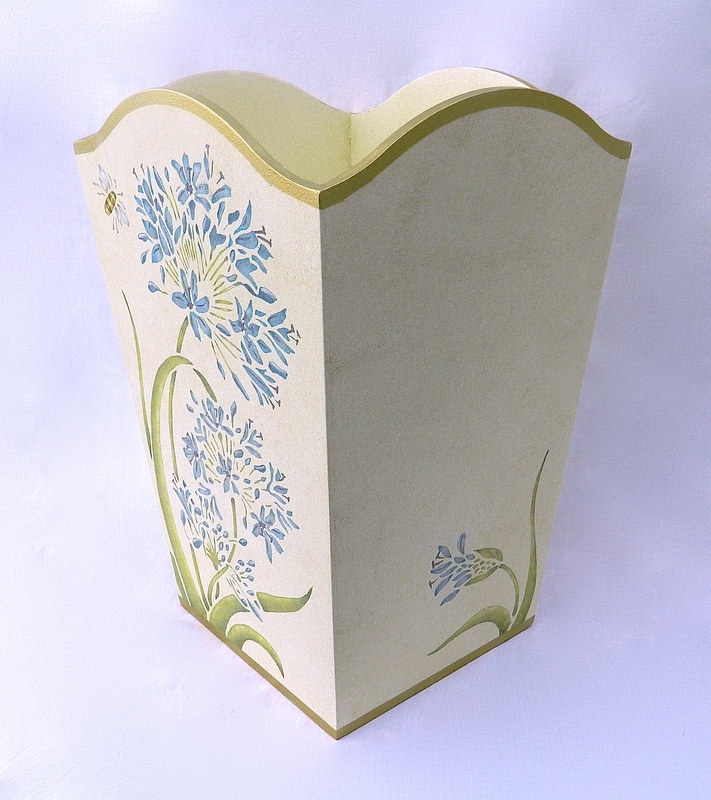 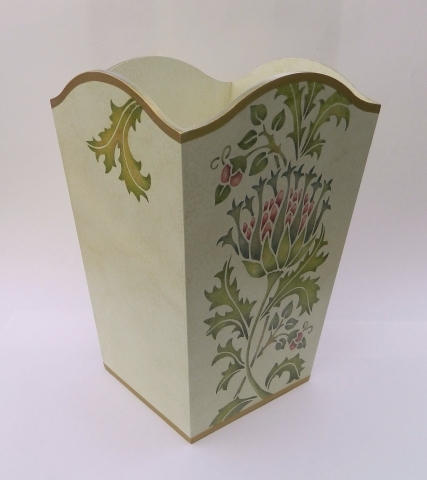 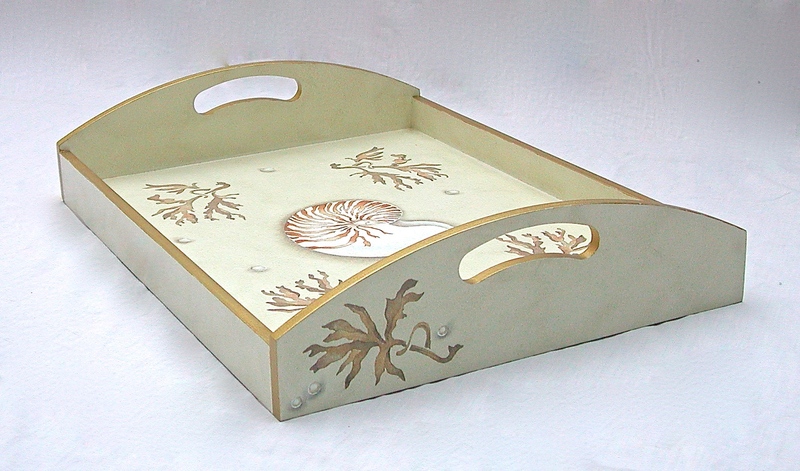 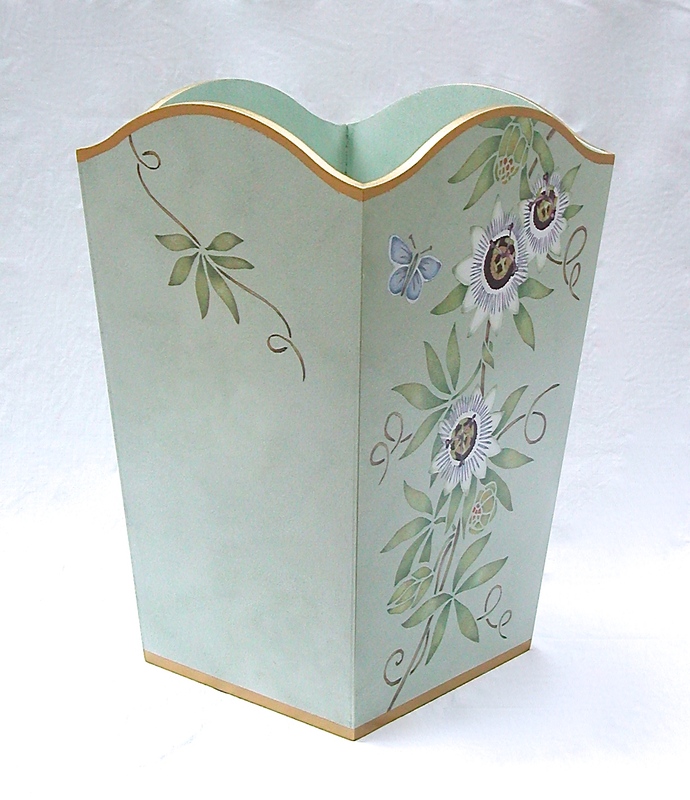 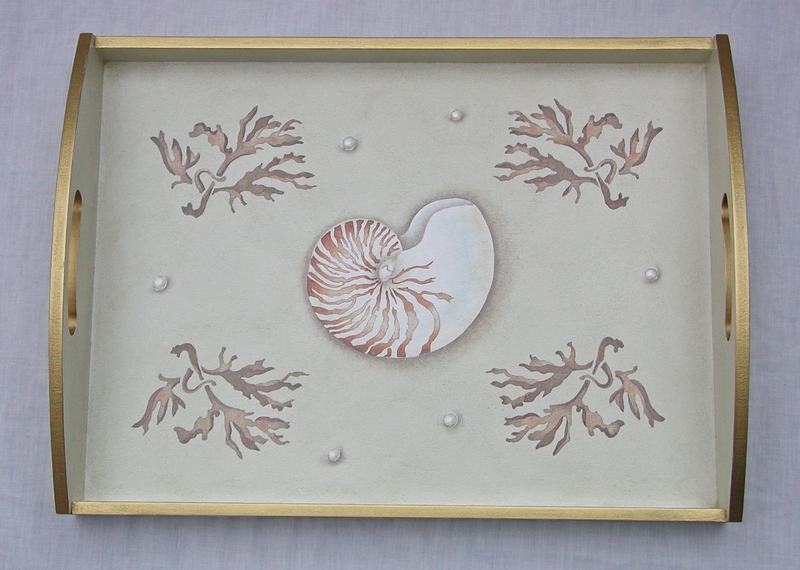 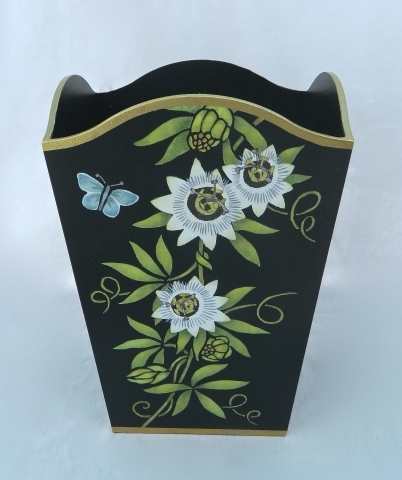 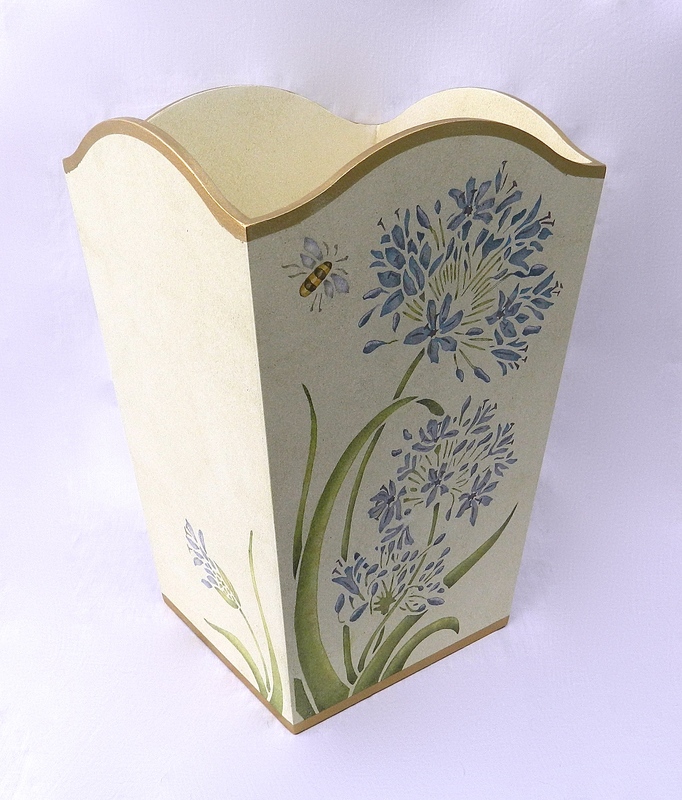 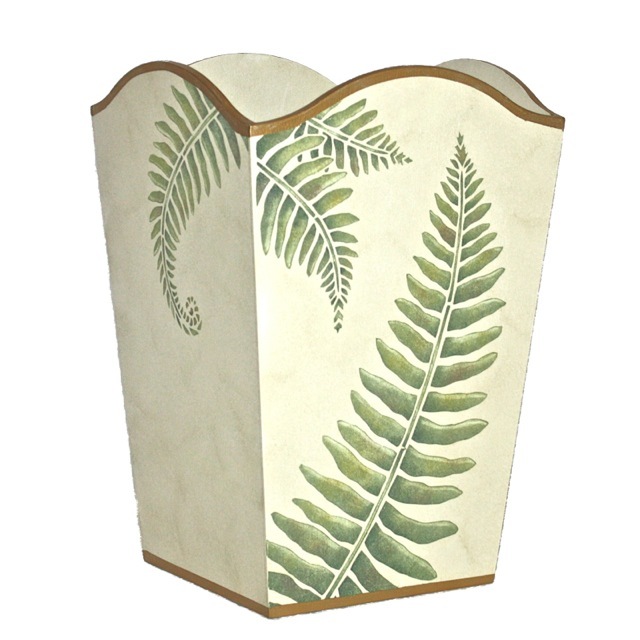 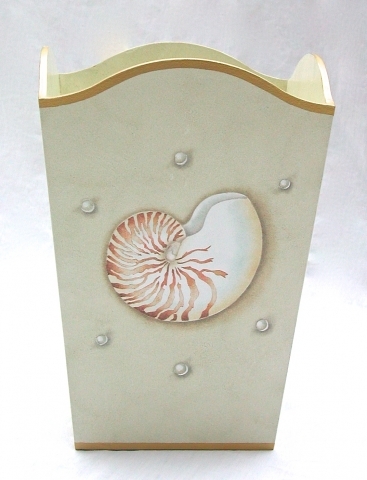 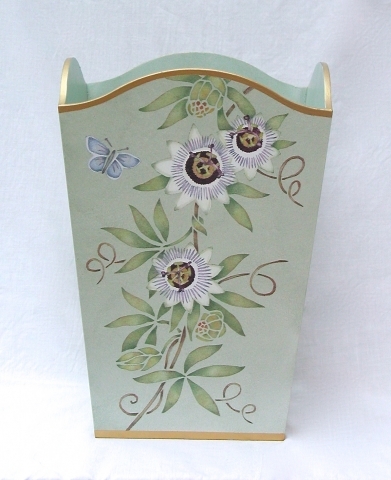 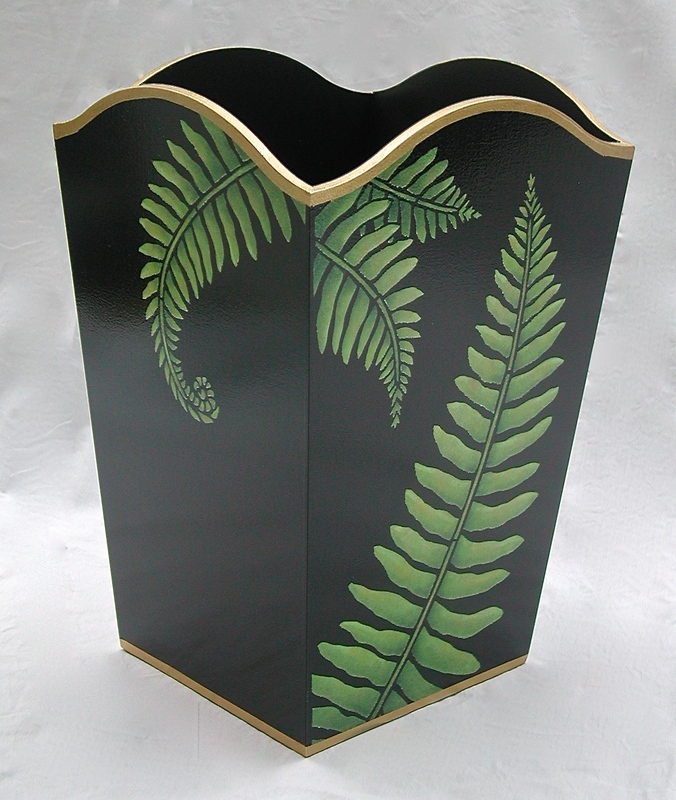 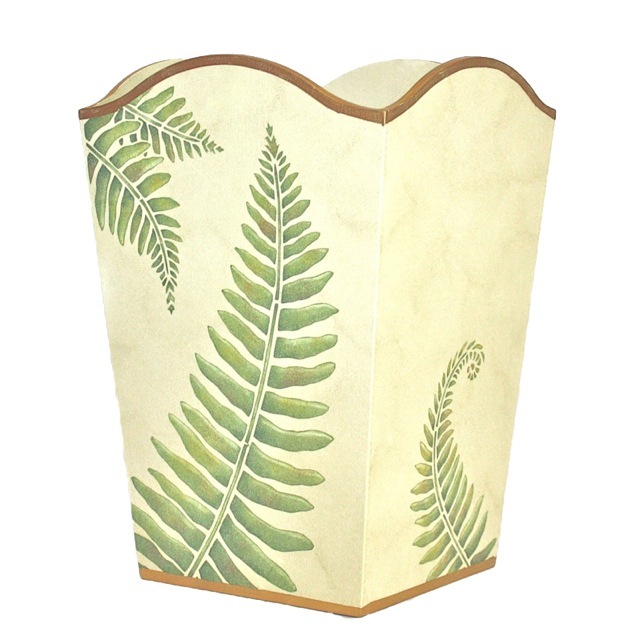 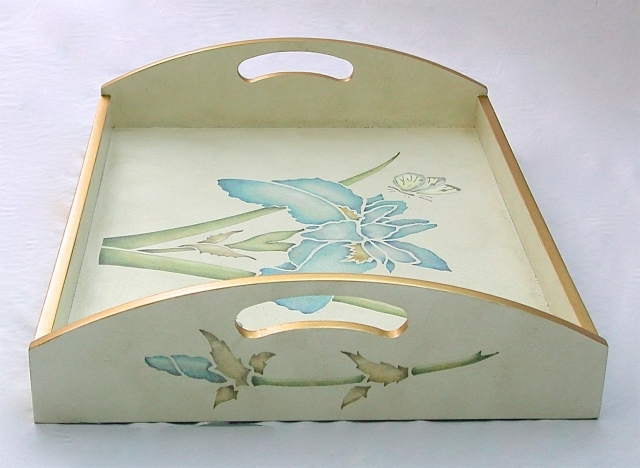 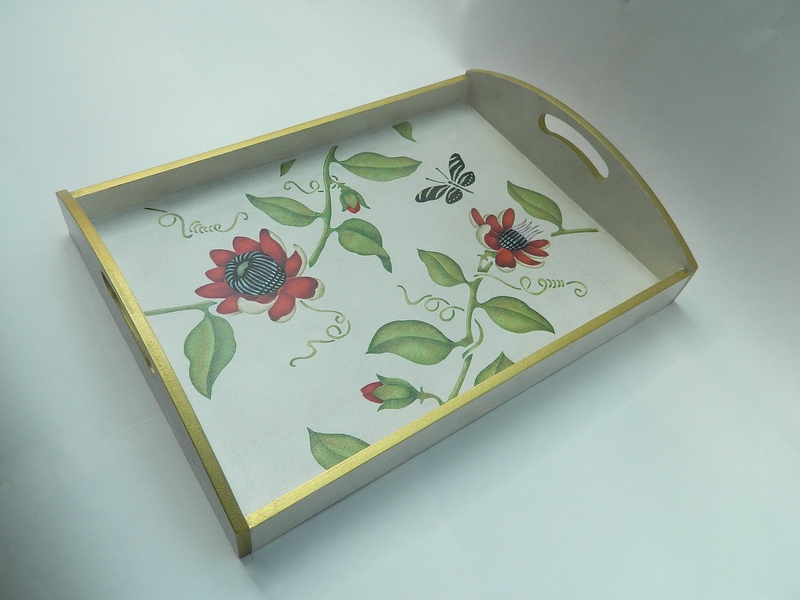 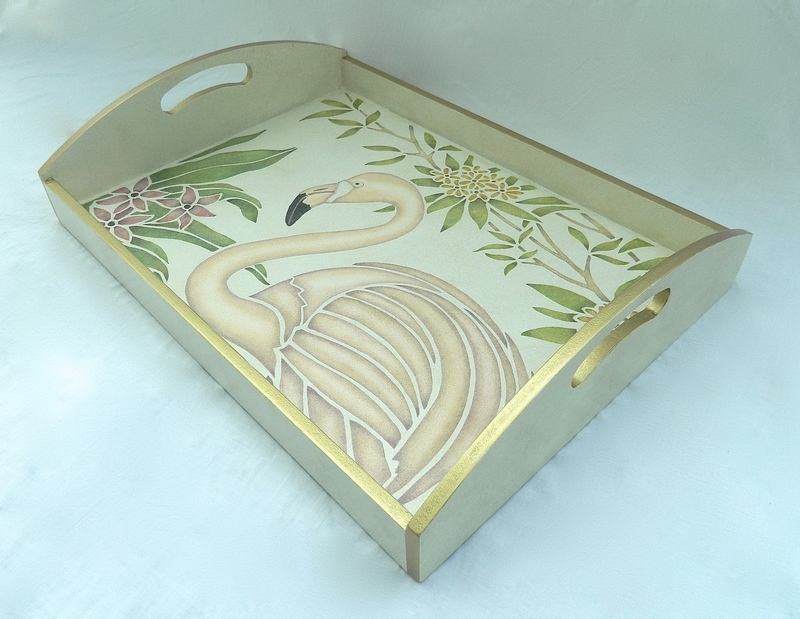 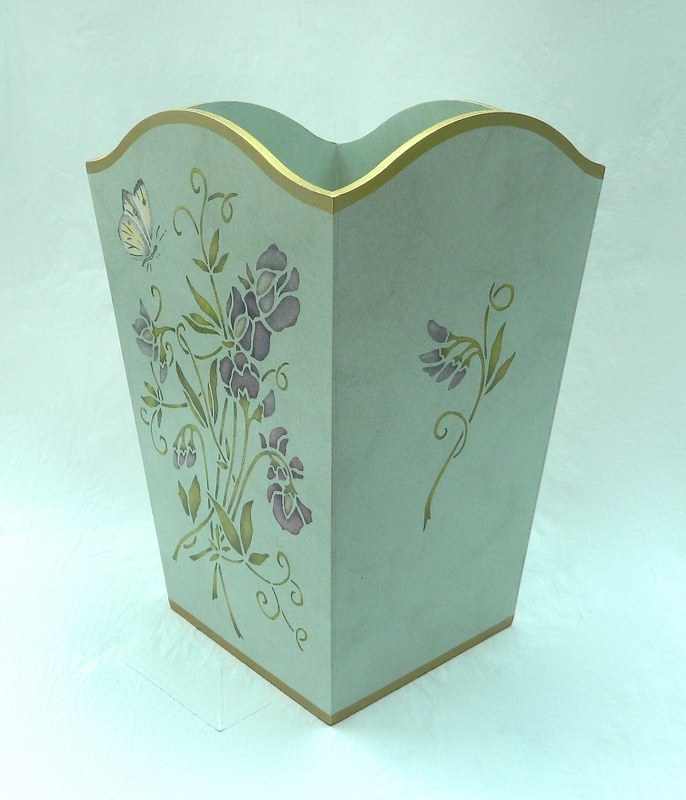 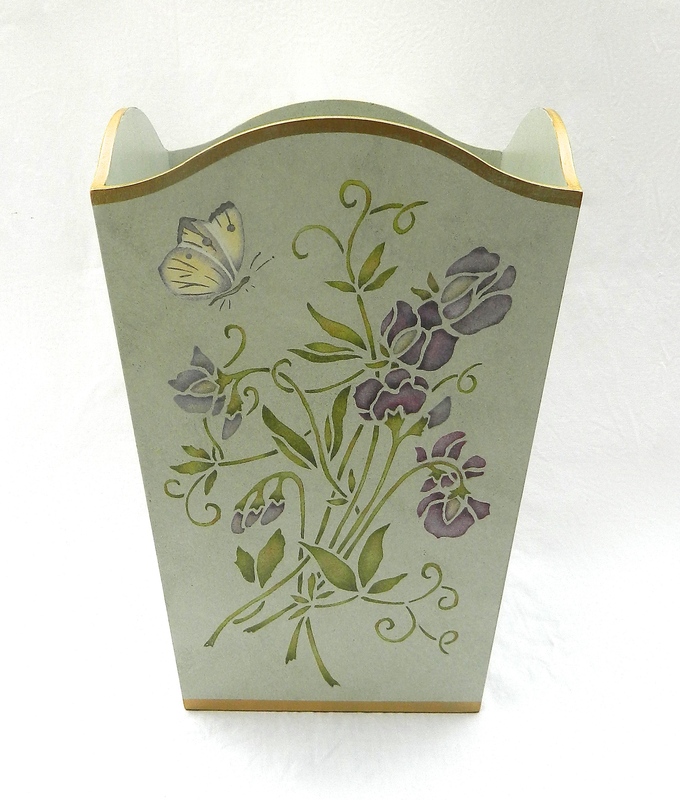 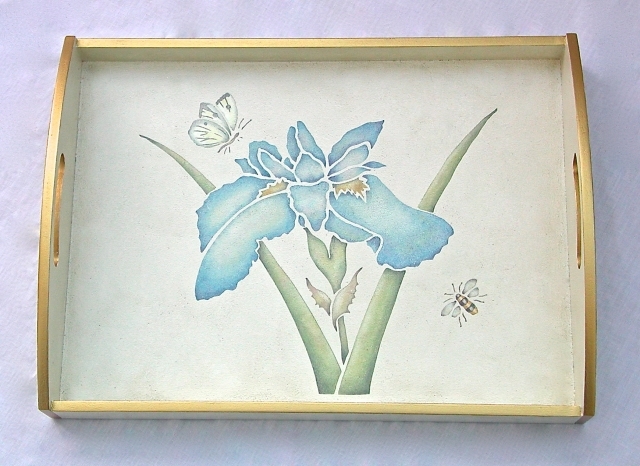 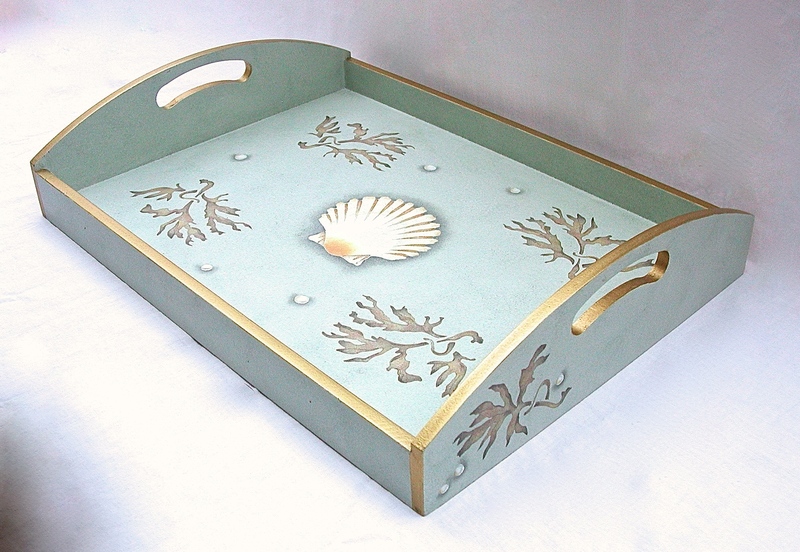 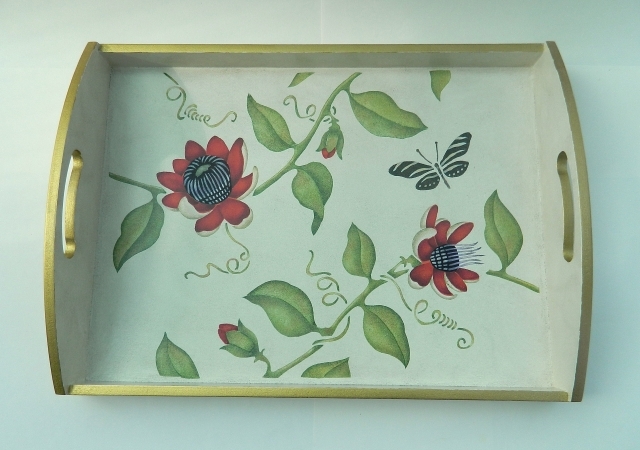 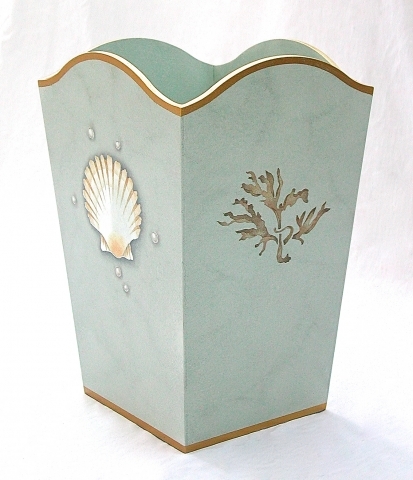 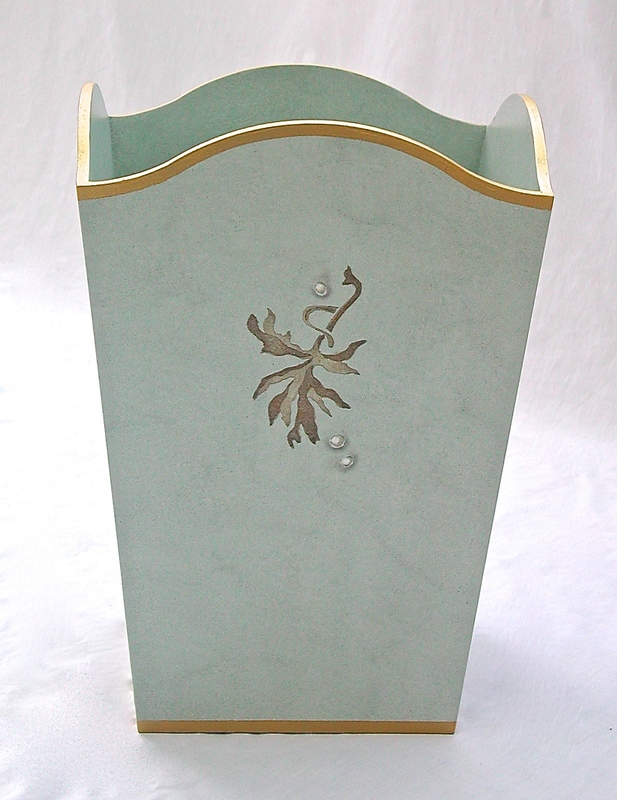 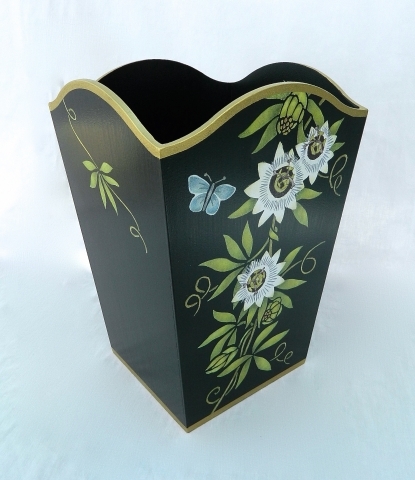 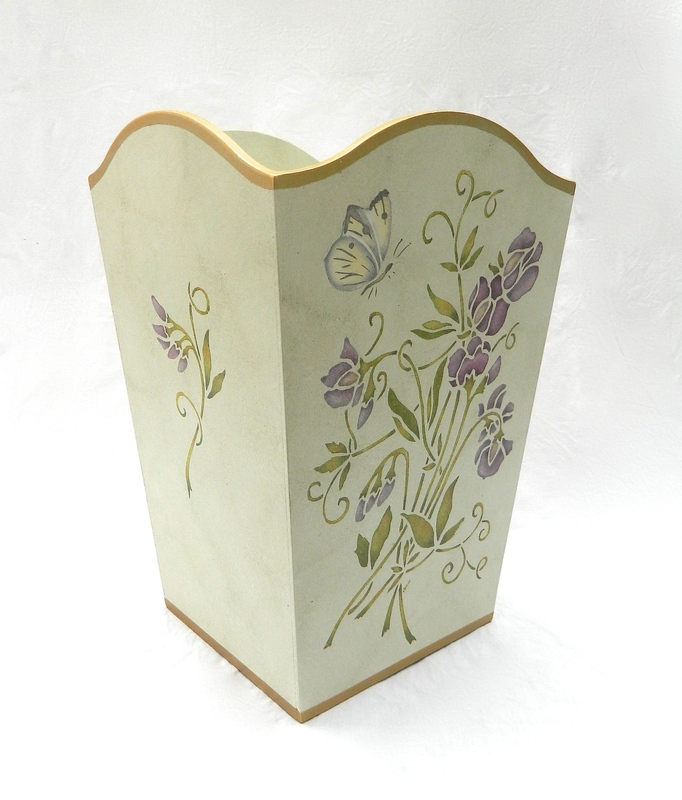 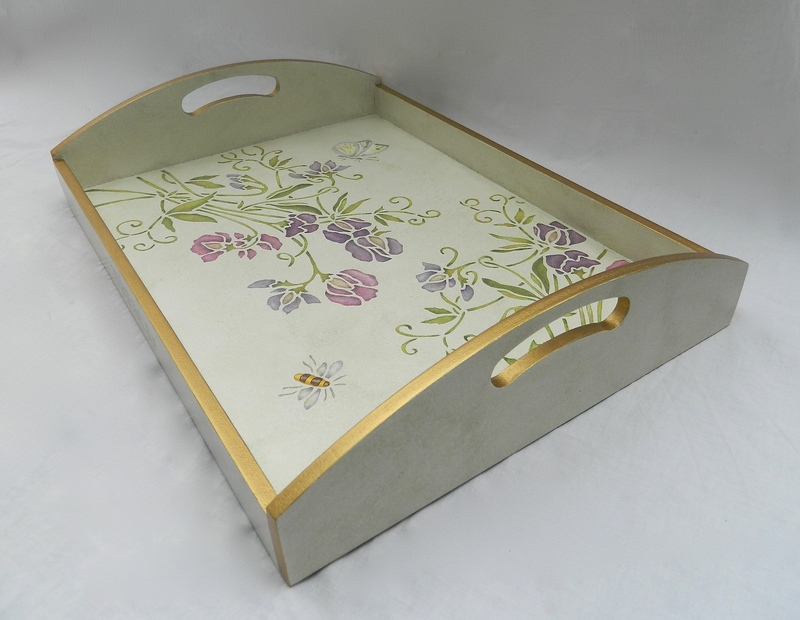 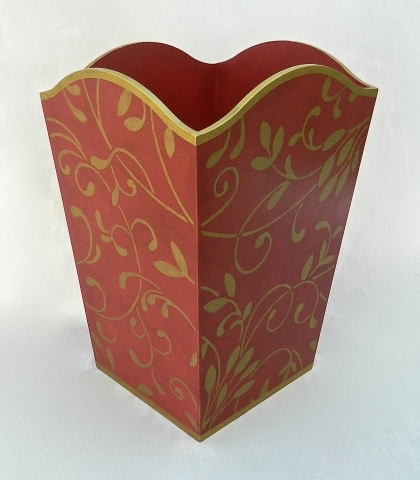 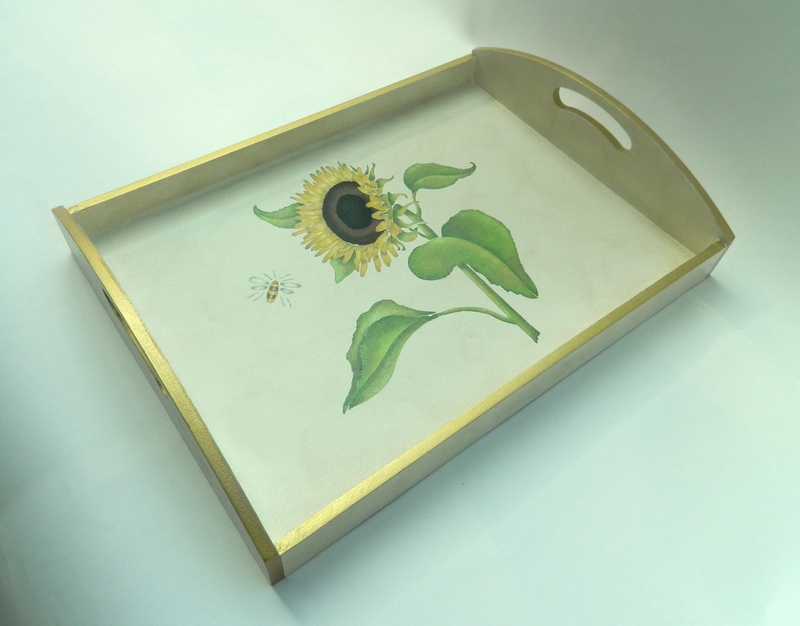 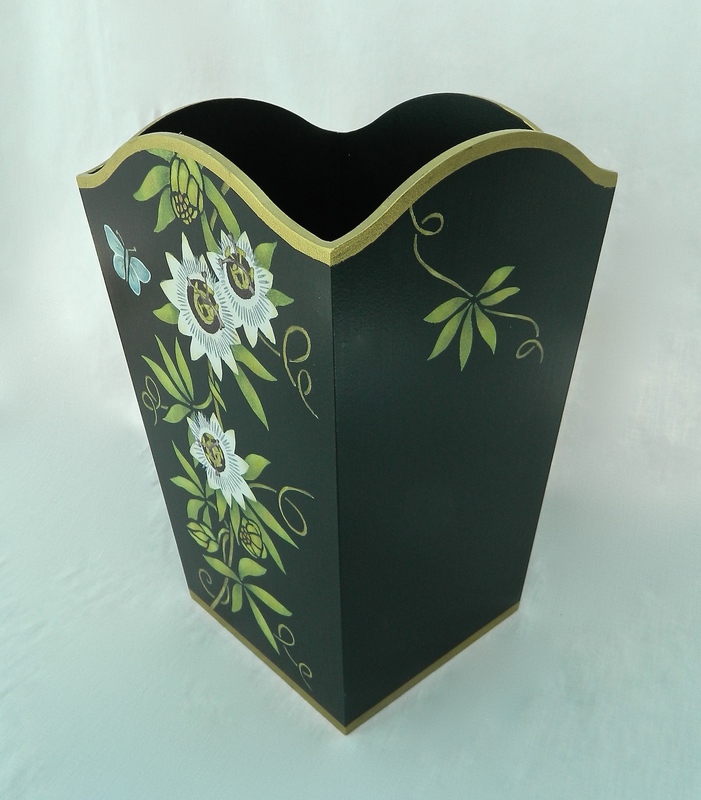 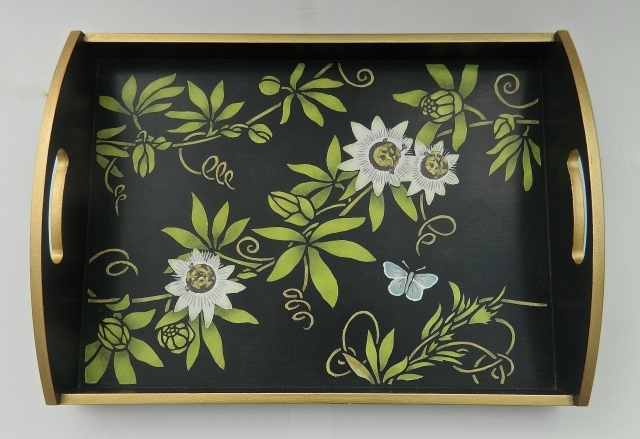 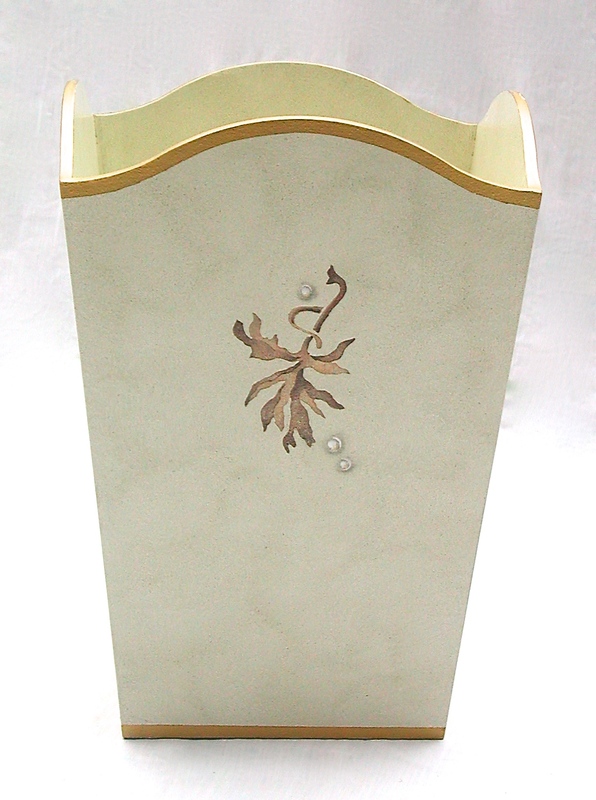 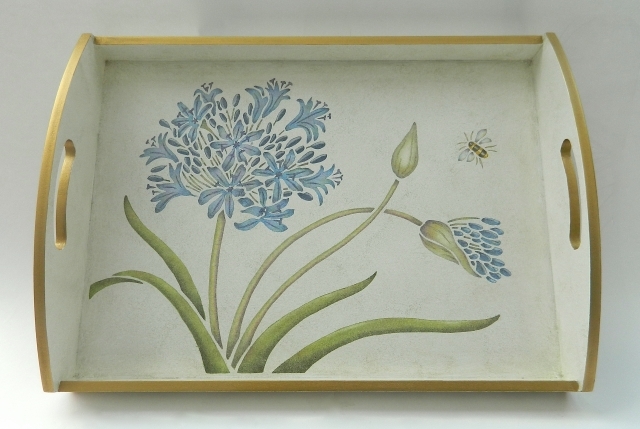 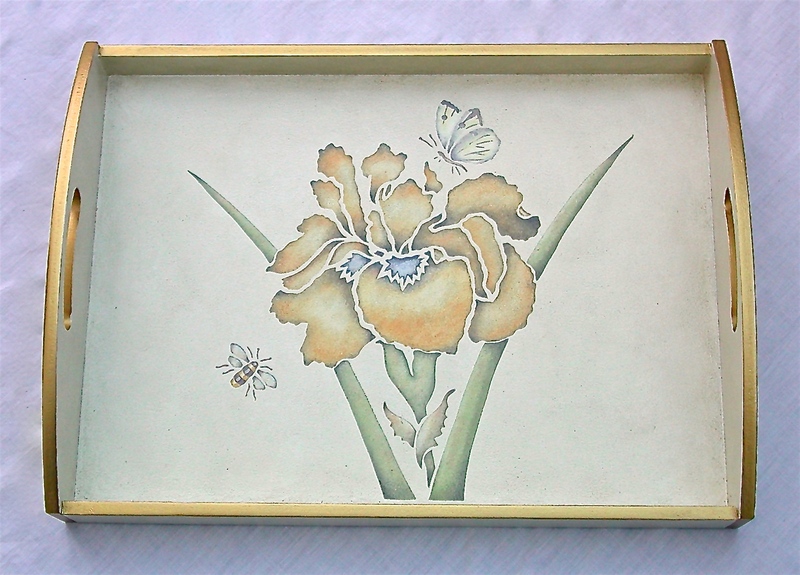 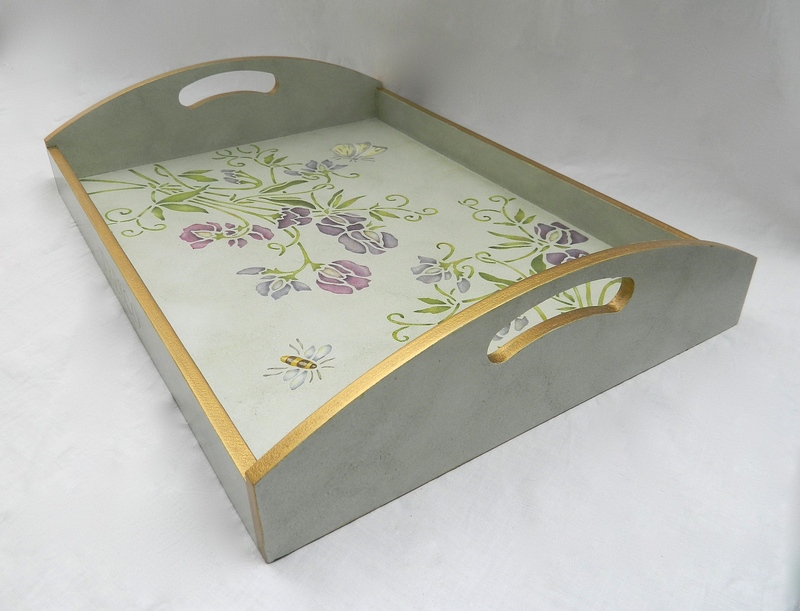 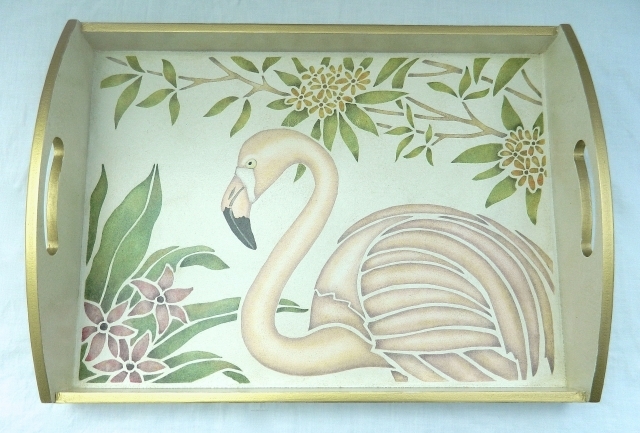 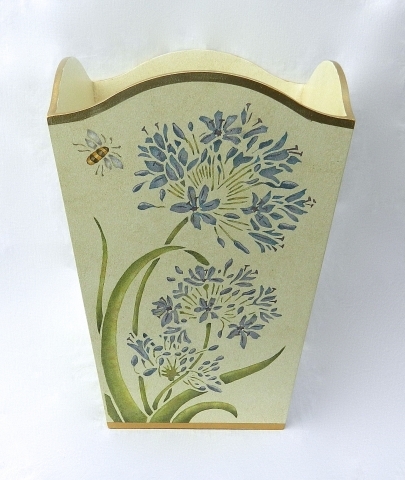 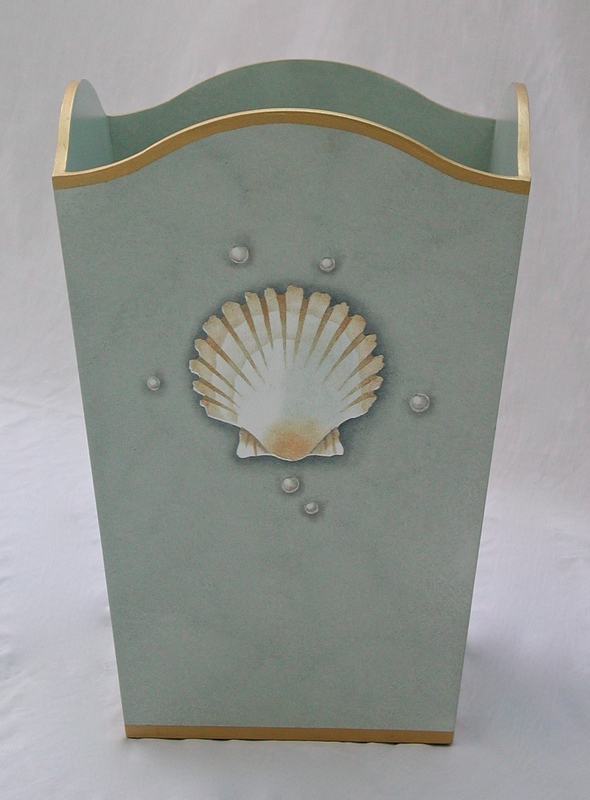 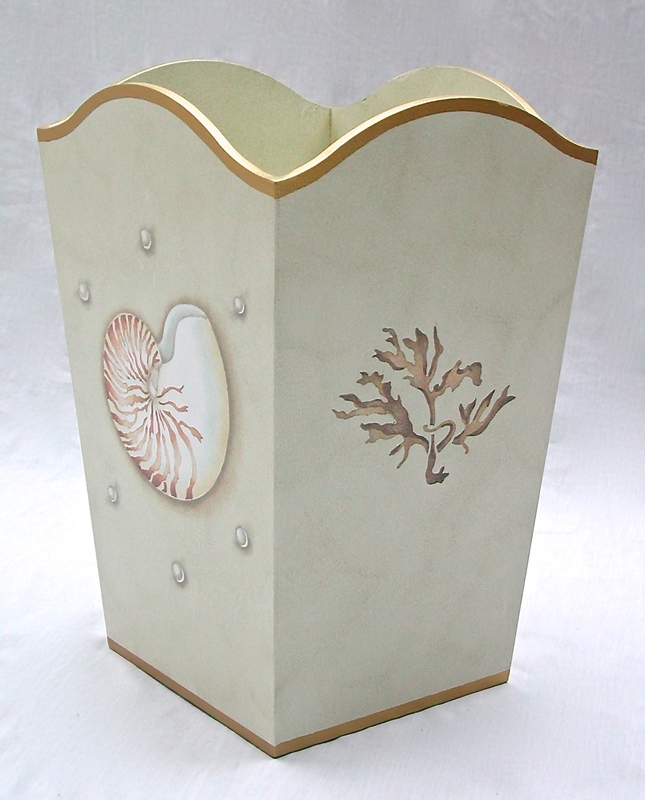 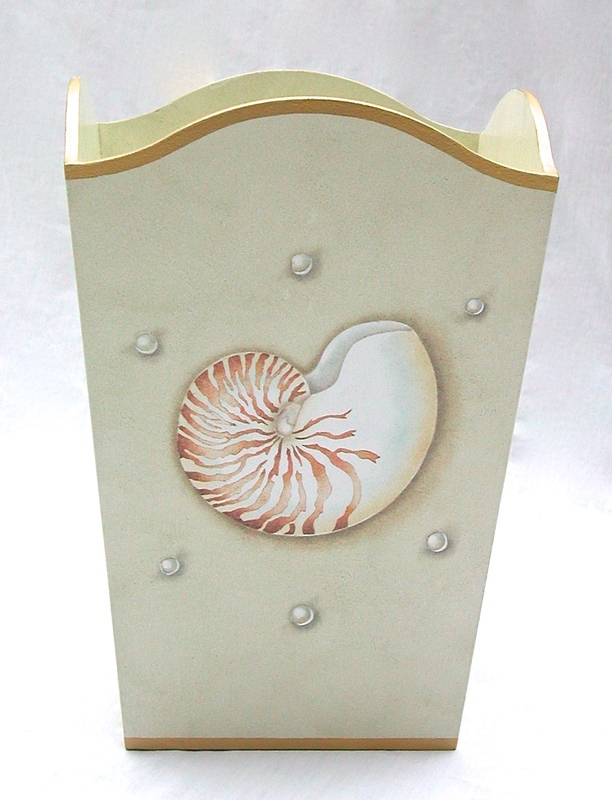 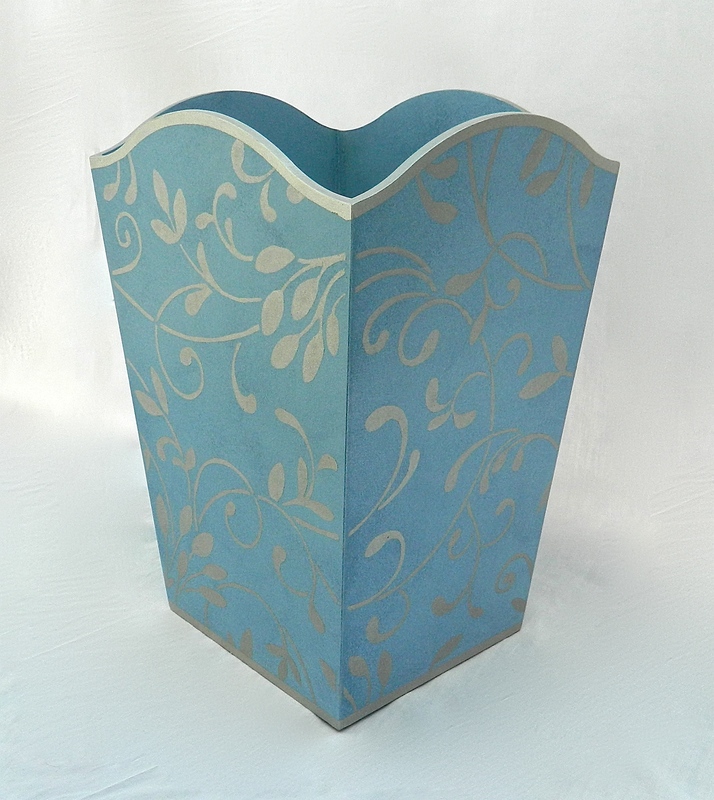 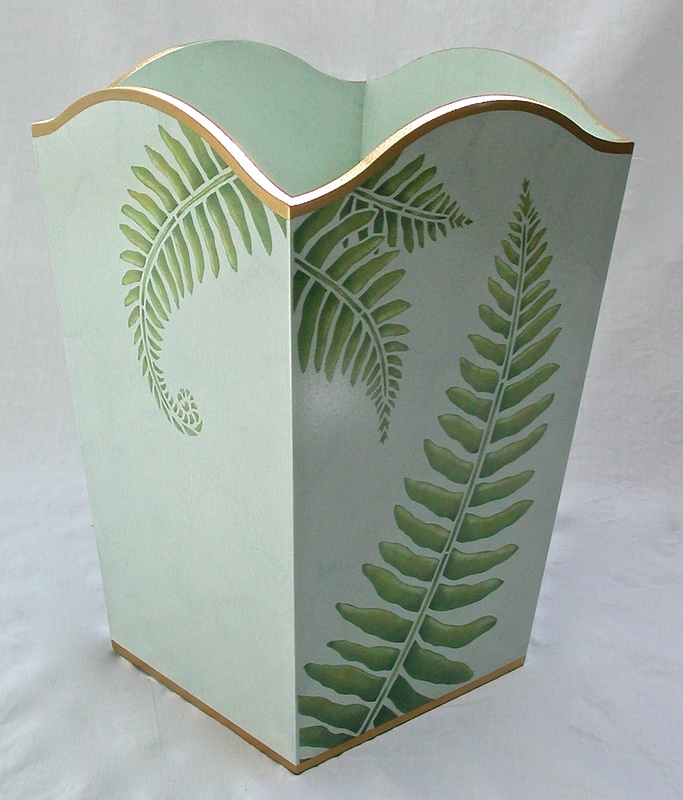 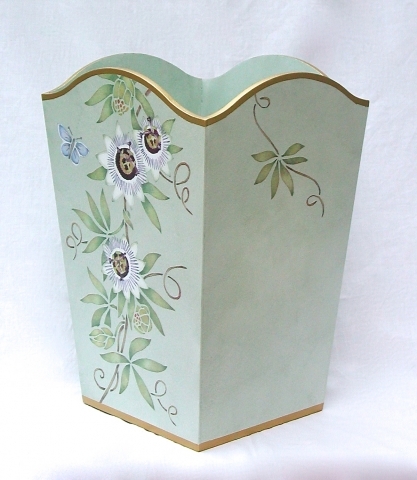 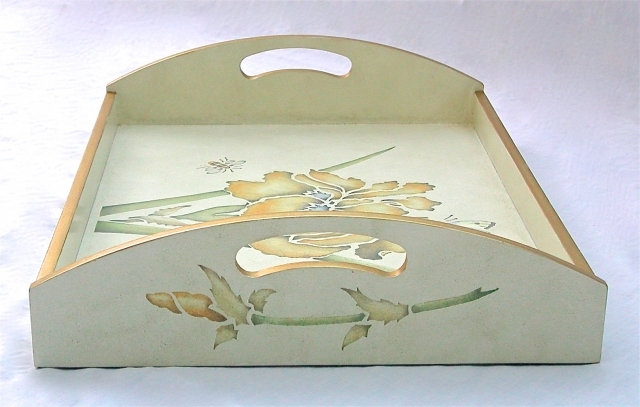 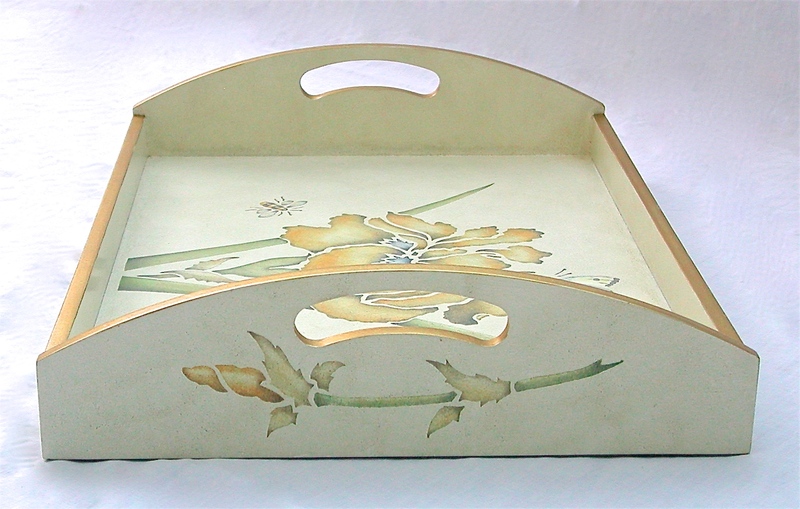 The trays and bins feature flowers, shells and nautical scenes. 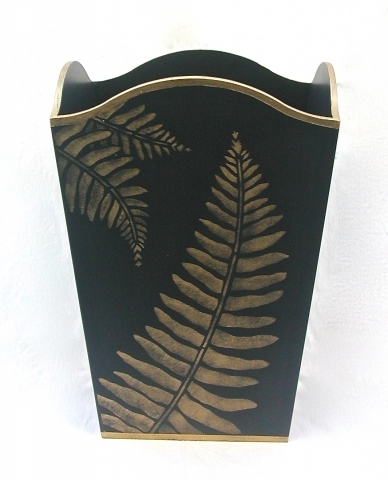 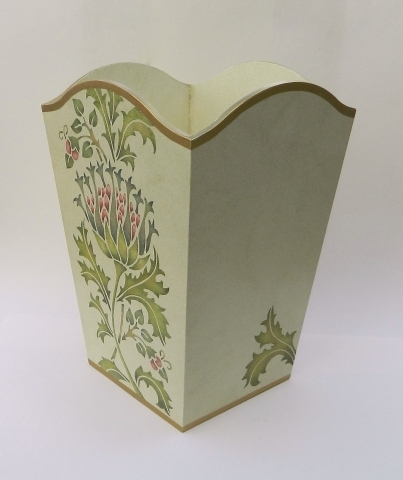 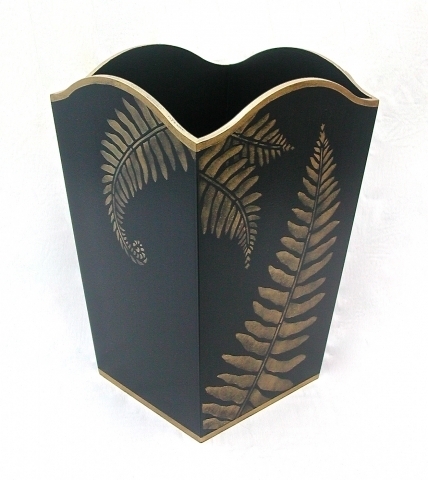 They are available from various online websites and galleries in the United Kingdom.